Photos: On coastal rocks. Rock Island, Cork, SW Ireland. 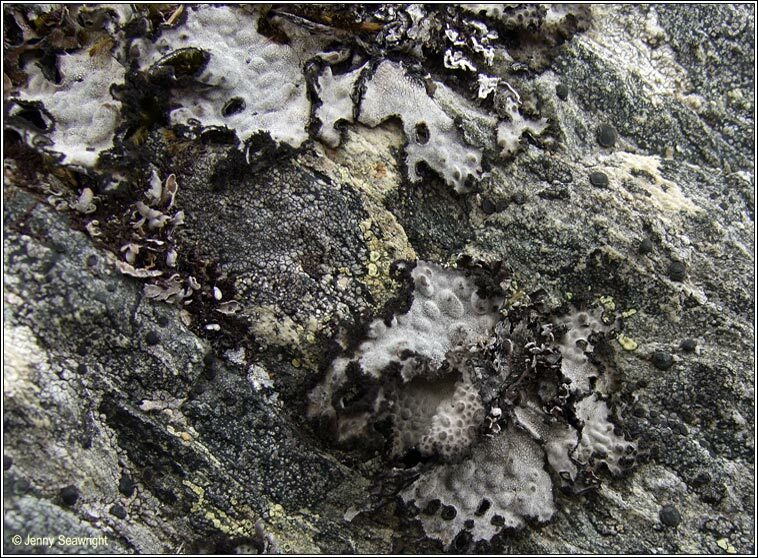 Thallus greyish-beige, +/- white-pruinose when dry, greenish-brown when wet. Upper surface with numerous conspicuous oval pustules. Margins +/- lacerated. 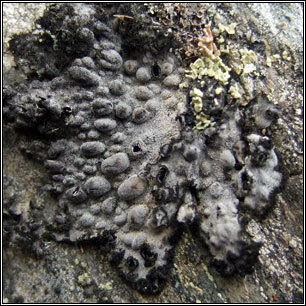 Black coralloid isidia. 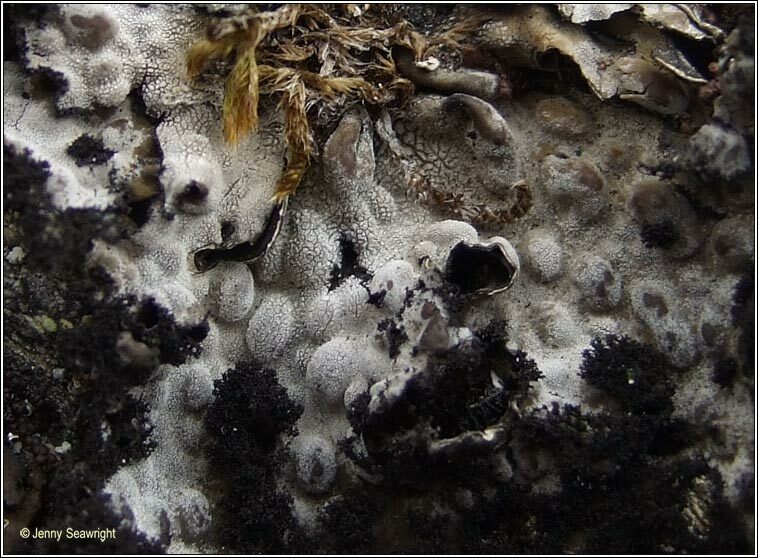 Apothecia very rare. 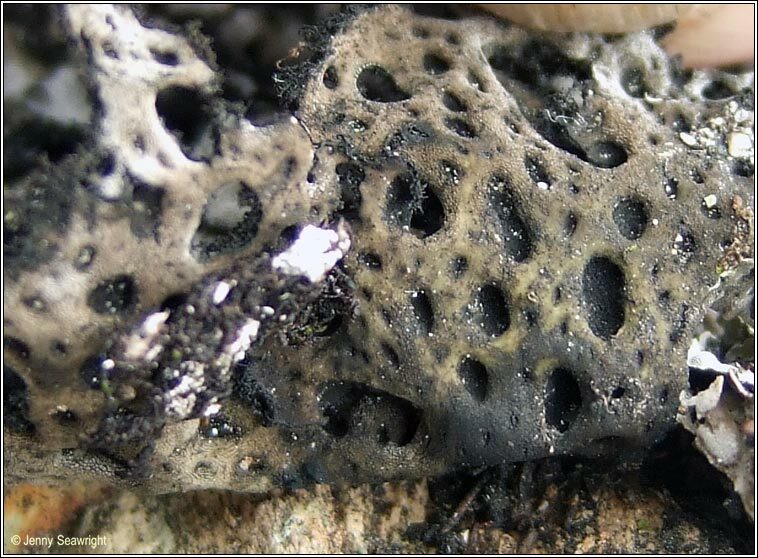 Can form large colonies on nutrient-rich, acidic, coastal or upland rocks. Most frequent in the extreme SW of Ireland.